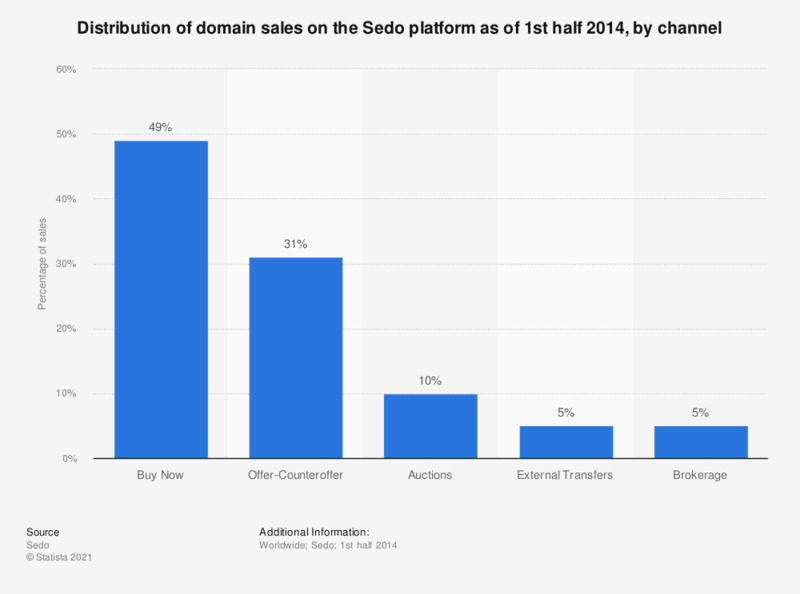 This statistic presents information on the distribution of domain sales via platform Sedo during the first half of 2014, sorted by channel. During that year, five percent of domains were sold via online brokerage. External transfers also accounted for five percent of domain sales. How well integrated are your current sales channels?